about immigrants and American identity. Join our newsletter for info about upcoming Define American events and our Define American Comedy Night release. 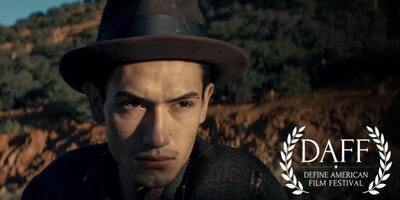 Follow characters in Bisbee, Arizona, an old copper-mining town just miles from the Mexican border, as they struggle to commemorate the 100th anniversary of the infamous Bisbee Deportation, where 1200 striking miners were violently taken from their homes, banished to the middle of the desert, and left to die. Townspeople confront this misunderstood past by staging dramatic re-creations of the escalating strike. These dramatized scenes are based on subjective versions of the story and “directed,” in a sense, by residents with conflicting views of the event. Deeply personal segments torn from family history build toward a massive re-staging of the deportation itself on the exact day of its 100th anniversary. White nationalism is rising, but we can resist. Following the screening, Jose Antonio Vargas, Mony Ruiz-Velasco, and Maria Hinojosa discussed immigration and our changing America. The Women’s Movement: Where Do We Go From Here? Women are making history by activating their families and communities to create transformative social change. Paola Mendoza, Artistic Director of the Women’s March, led a conversation with Anurima Bhargava, Ai-jen Poo, and Bethany Yellowtail on female empowerment in light of the Time’s Up and #MeToo movements. Be among the first to see an upcoming narrative feature film from people behind Netflix’s 13th. Both Black Americans and immigrants are targeted by the prison industrial complex. Following the screening, Menelek Lumumba, Hans Charles, Wesley Lowery, and Dr. Iva Carruthers explored criminal justice today. 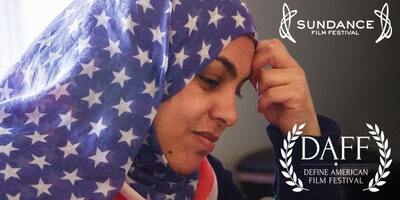 An intimate portrait of four Syrian families arriving in Baltimore, Maryland and struggling to find their footing. With eight months to become self-sufficient, they must forge ahead to rebuild their lives. When the travel ban adds further complications, their strength and resilience are put to the test. In 2016, the U.S. re-settled 15,479 Syrian refugees. Last year, 3,024. This year, 11. Following the screening, Jose Antonio Vargas led a conversation on the global migration crisis with AJ Mendez, Ala’a Basatneh, Erika Andiola, and Miko Revereza. Presented in partnership with The Second City and the Harold Ramis Film School, Comedy Night at DAFF featured performances by Tamer Kattan, Zahra Noorbakhsh, Felonious Munk, Alex Kumin, and Nico Santos. Hosted by Baratunde Thurston (About Race podcast, Comedy Central’s The Daily Show). On a night like any other, Joelle is closing up her hair salon when a mysterious visitor appears asking too many questions about her citizenship. Nothing is what it seems in this fierce and stylish genre-bending allegory on immigration and belonging. Preceded the Immigrants in Entertainment panel conversation. Faced with an emergency situation, a group of young Black and Latino friends carefully weigh the pros and cons of calling the police. Preceded the Secret Screening. A teenager from the South Side of Chicago attempts to finish his college essays and struggles to boil down his complex surroundings in 500 words, while his friends’ disparate opinions, racist news narratives, and the threat of lingering danger complicate the process. Preceded the Secret Screening. Stories of strong women – in social justice, in Latino culture, and in Silicon Valley. Preceded the Women’s Movement panel conversation. #BlackLivesMatter co-produced by Sabrina S. Gordon. An urgent reflection on indigenous sovereignty, the undead violence of museum archives, and postmortem justice through the case of the “Kennewick Man,” a prehistoric Paleo-American man whose remains were found in Kennewick, Washington, in 1996. Preceded Bisbee ’17. The personal insecurities and pent-up emotions of an undocumented Filipino immigrant to the USA give way to political ruminations and critical commentaries on the colonization of the mind by the American Dream. Preceded This Is Home. We’re proud that our festival starts real, difficult conversations among Americans. In 2016 and 2017, 100% of DAFF screenings were sold out (over 1,200 attendees each) – and many oversold. In 2017, over 500,000 viewers across the country tuned into our livestream with media partner NowThis. The post-screening discussion of the MTV documentary White People trended #1 nationally on Twitter, and the hashtag #DAFF reached over 1.7 million users on social media with nearly 9 million impressions. Our audience surveys reveal that 81% of DAFF attendees found the festival extremely entertaining, 84% found the topics and discussions very inspiring, and 72% said that the experience will change their actions in the future.